Spondoolies SP20 is a breath of fresh air after their latest offer, the SP35, which will overload your standard 15 amp home circuit. 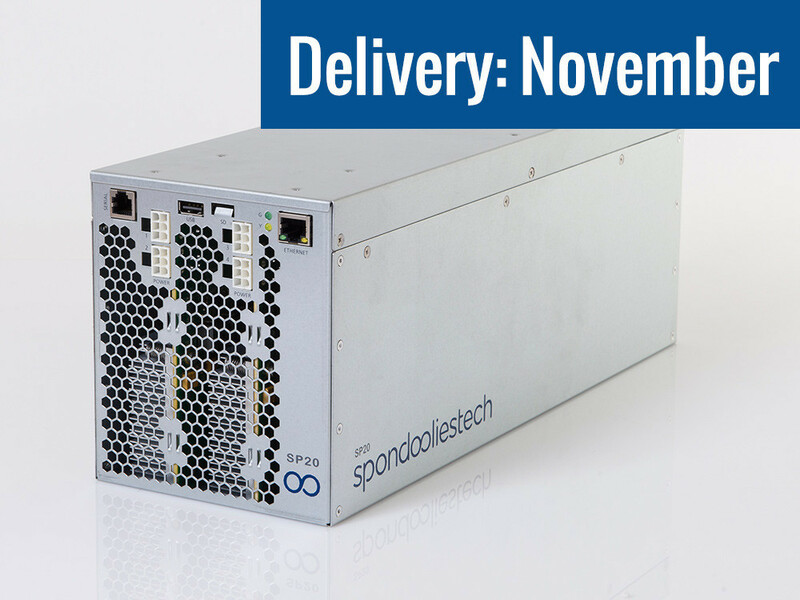 The SP20 is geared towards the home mining market. At 1100 watts, you won't be flipping your circuit breakers, and it's overclockable to 1.8 terahash. We can only hope that this miner will distribute the hashrate to a more diverse group of miners, although there is a catch: you'll need to choose and buy your own power supply: none are included. Check out the SP20 on Spondoolies website.